Making data more findable is the bedrock of much of research data management and we aim to make this easy and simple for researchers to do in practice. Ever on the look out to do just this, we were delighted to spot an opportunity to take our University’s data catalogue to the next level. The data catalogue comprises our CRIS (Pure) Datasets module, which allows researchers to capture details of their datasets, and the public facing portal (Research Explorer), which allows these datasets to be searched. When the data catalogue was originally set up it could be populated either by automated metadata feeds for datasets deposited in the data repository recommended by The University of Manchester, or by manually inputting metadata for datasets deposited in external data repositories. However, recognising that this manual input duplicates effort, is time consuming and requires some familiarity with Pure, we began to think about how we could make this process faster and easier for researchers. Our solution? A Research Data Gateway. The Research Data Gateway service allows researchers to input a dataset DOI to an online form, view the associated metadata to confirm its veracity, and then submit the dataset record to the Library, who populates Pure on the researcher’s behalf. Wherever possible our Content, Collections and Discovery (CCD) team enriches the record by linking with related research outputs, such as articles or conference proceedings, and this record displays in both Research Explorer and all relevant Researcher Profiles. 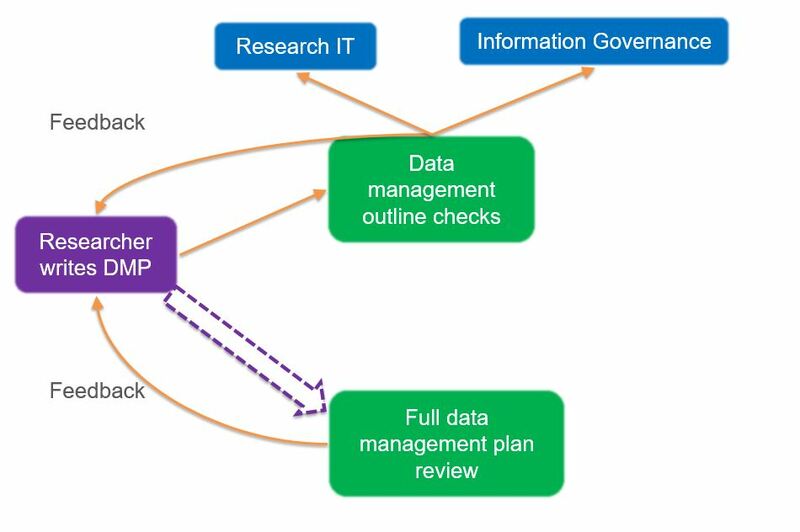 The screen capture below illustrates how the Research Data Gateway works in practice from the researcher’s perspective up to the point of submission, a process that usually takes about 15 seconds! In addition to delivering a service that reduces researchers’ workload, the Research Data Gateway increases the discoverability and visibility of externally deposited datasets together with their associated publications. In turn, this increases the likelihood that these research outputs will be found, re-used and cited. Moreover, since most funders and an increasing number of journals require the data that underlies papers to be shared, the Gateway helps researchers reap the maximum reward from this requirement. As you can see from above this is a very straight-forward process from the researcher’s perspective, but of course, behind the scenes there’s a little more going on. Once validated, the new dataset record automatically displays in both Research Explorer and the relevant Researcher Profile(s). As with most successful initiatives, making the Research Data Gateway happen was a truly collaborative effort involving a partnership across the Library’s Research Services (RS), Digital Technologies and Services (DTS) and Content, Collections and Discovery (CCD) teams, and the University’s Pure Support team. And this collaboration continues now in the ongoing management of the service. All Gateway-related processes have been documented and we’ve used a RACI matrix to agree which teams would be Responsible, Accountable, Consulted and Informed for any issues or enquiries that might arise. Datasets may be associated with tens or even hundreds of contributors which can make these records time-consuming to validate. This was a particular problem for high energy physics datasets for instance. For efficiency, our solution is to record individual contributors from this University, and then add the name of the collaboration group. Multiple requests for a single dataset record are sometimes submitted to Pure especially if a record has multiple contributors. To resolve this, approvals by the CCD team include a check for duplicates, and the service informs relevant researchers before rationalising any duplicates to a single record. A limitation of the Gateway is that it doesn’t accommodate datasets without a DOI. So further work is needed to accommodate repositories, such as GenBank, that assign other types of unique and persistent identifiers. Feedback on the Gateway has been consistently positive from researchers and research support staff; its purpose and simple effectiveness have been well-received and warmly appreciated. However, getting researchers engaged takes time, persistence and the right angle from a communications perspective. It’s clear that researchers may not perceive a strong incentive to record datasets they’ve already shared elsewhere. Many are time poor and might reasonably question the benefit of also generating an institutional record. Therefore effective promotion continues to be key in terms of generating interest and engagement with the new Gateway service. We’re framing our promotional message around how researchers can efficiently raise the profile of their research outputs using a suite of services including our Research Data Gateway, our Open Access Gateway, the Pure/ORCID integration, and benefit from automated reporting on their behalf to Researchfish. This promotes a joined up message explaining how the Library will help them raise their profile in return for – literally – a few seconds of their time. We’re also tracking and targeting researchers who manually create dataset records in Pure to flag how the Research Data Gateway can save them significant time and effort. In addition, to further reinforce the benefits of creating an institutional record, we ran a complementary, follow-up project using Scholix to find and record externally deposited datasets without the need for any researcher input. Seeing these dataset records surface in their Researcher Profiles, together with links to related research outputs is a useful means of generating interest and incentivising engagement. To learn how we did this see my companion blog post: From Couch to Almost 5K: Raising Research Data Visibility at The University of Manchester . These two approaches have now combined to deliver more than 5,000 data catalogue records and growing, with significant interlinking with the wider scholarly record. As noted, both routes have their limitations and so we remain on the lookout for creative ways to progress this work further, fill any gaps and make data ever more findable. Love is all around us this week it seems. Coinciding with Valentine’s Day, by chance or otherwise, this is also Love Data Week. So, we thought we’d share how we’ve been loving our data by making it more visible, shareable and re-usable! This is an area of growing interest across the RDM community and if you, like us, are kept awake at night by questions such as how do you identify your institution’s datasets in external repositories or what’s the most efficient way to populate your CRIS with metadata for those datasets, then read on to learn how we’ve been meeting these sorts of challenges. 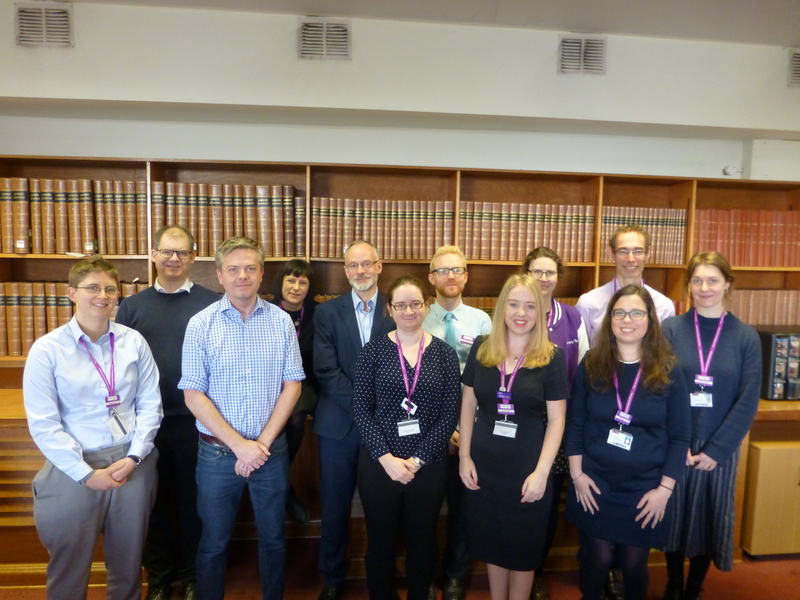 At the University of Manchester (UoM), the Library’s Research Data Management team has been using Scholix to find UoM researcher data records and make them available in the University’s data catalogue and Researcher Profiles, which are publicly available and serve as a showcase for the University’s research. We saw here an opportunity not only to increase further the visibility of the University’s research outputs but also to encourage researchers to regard data more seriously as a research output. We also had in mind the FAIR Principles and were keen to support best practice by researchers in making their data more findable. The headline result is the addition of more than 4,500 data records to the UoM CRIS (Pure), with reciprocal links between associated data and publication records also being created to enrich the University’s scholarly record. Following the launch in 2017 of the University’s Pure Datasets module, which underpins our institutional data catalogue (Research Explorer) and automatically populates Researcher Profiles, we created services to help researchers record their data in Pure with as little manual effort as possible. We’re delighted to see these services being well-received and used by our research community! But what about historical data, we wondered? We knew most researchers wouldn’t have the time or inclination to record details of all their previous data without a strong incentive and, in any case, we wanted to spare them this effort if at all possible. We decided to investigate just how daunting or not this task might be and made the happy discovery that the Scholix initiative had done lots of the work for us by creating a huge database linking scholarly literature with their associated datasets. Working with a number of key internal and external partners, we used open APIs to automate / part-automate the process of getting from article metadata to tailored data records (see Figure 1). To generate and process the article metadata from Scopus we partnered with the Library’s Research Metrics, and Digital Technologies and Services teams. We submitted the article DOIs to Scholix via its open API which returned metadata (including DOIs) of the associated research data. Then using the DataCite open API we part-automated the creation of tailored data records that mirrored the Pure submission template (i.e. the records contained the relevant metadata in the same order). This saved our Content, Collections and Discovery team lots of time when manually inputting the details to Pure, before validating the records to make them visible in Research Explorer and Researcher Profiles. Partnering with the University’s Directorate of Research and Business Engagement and Elsevier, we followed the same steps to process the records sourced from Pure. Elsevier was also able to prepare tailored data records for bulk upload directly into Pure which further streamlined the process. Manchester researchers like to share, especially if we can make it easy for them! Seeing the amount of data being shared across the institution is bringing us a lot of joy and a real sense of return on investment. In terms of staff time, which amounts to approximately 16 FTE weeks to upload, validate and link data in Pure, plus some additional time to plan and implement workflows. Cross-team working has been critical in bringing this project towards successful completion, with progress relying on the combined expertise of seven teams. In our view, the results more than justify this investment. Of course, there are limitations to be addressed and technical challenges to navigate. Initiatives, such as the COPDESS Enabling FAIR Data Project, that are bringing together relevant stakeholders (data communities, publishers, repositories and data ecosystem infrastructure) will help ensure that community-agreed metadata is properly recorded by publishers and repositories, so that it can feed into initiatives like Scholix and make our ‘downstream’ work ever more seamless. Widespread engagement for use of open identifiers would also make our work much easier and faster, in particular identifiers for researchers (ORCID) and research organisations (RoR). As ever, increased interoperability and automation of systems would be a significant step forward. There are practical considerations as well. For instance, how do we treat data records with many researchers, which are more time-consuming to handle? How do we prepare researchers with lots of datasets for the addition of many records to their Researcher Profiles when there is such variation in norms and preferences across disciplines and individuals? How should we handle data collections? What do we do about repositories such as Array Express that use accession numbers rather than DOIs, as Scholix can’t identify data from such sources. And since Scholix only finds data which are linked to a research article how do we find data which are independent assets? If we are really serious about data being an output in their own right then we need to develop a way of doing this. So, there’s lots more work to be done and plenty of challenges to keep us busy and interested. In terms of the current phase of the project, processing is complete for data records associated with UoM papers from Scopus, with Pure records well underway. Researcher engagement is growing, with plenty of best practice in evidence. With REF 2021 in our sights, we’re also delighted to be making a clear contribution towards the research environment indicators for Open Data. Following the introduction of GDPR last May the Research Services team have been getting more and more enquiries about how to handle sensitive data, so we invited Dr Scott Summers from the UK Data Service (UKDS) to visit us and deliver a one-day workshop on ‘Managing and sharing research data from human participants’. My colleague, Chris Gibson, worked with Scott to develop and arrange the session. It was a thoroughly engaging and informative day, with lots of opportunity for discussion. The workshop attracted a group of 30 to come along and learn more about best practice for managing personal data. We invited colleagues from across all faculties and ensured that there was a mix of established and early career researchers, postgraduate researchers and professional services staff that support research data management. As well as getting advice to help with data management, the aim was to gather feedback from attendees to help us to shape sessions that can be delivered as part of the Library’s My Research Essentials programme by staff from across the University including Research Services, Information Governance and Research IT. As a fairly new addition to the Research Services team, I was keen to attend this workshop. The management of research data from human participants is a complex issue so any opportunity to work with the experts in this field is very valuable. 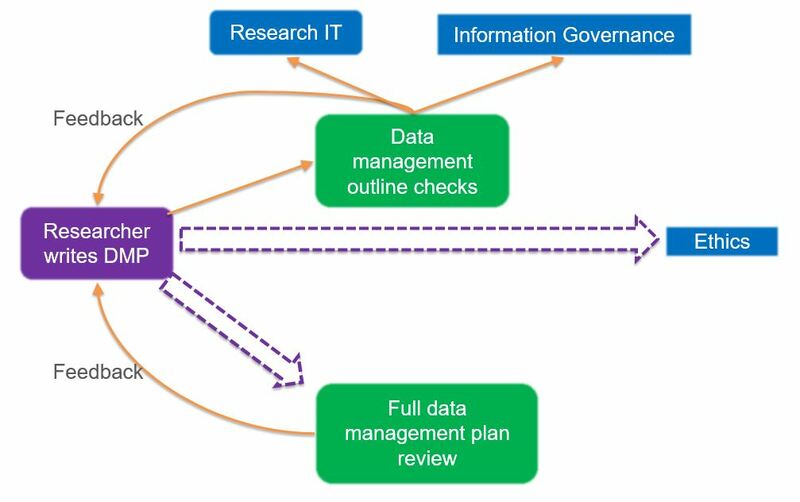 My job involves working with data management plans for projects which often include personal data so gaining a deeper understanding of the issues involved will help me to provide more detailed advice and guidance. The workshop began with looking at the ethical and legal context around gathering data. This is something that has been brought sharply into focus with the introduction of GDPR. We use ‘public task’ as our lawful basis for processing data but it was interesting to hear that ‘consent’ may be more prevalent as the preferred grounds in some EU countries. Using public task as a basis provides our participants with reassurance that the research is being undertaken in the public interest and means researchers are not bound by the requirement to refresh consent. The session on informed consent led to lively discussion about how to be clear and specific about how and what data will be used when research may change throughout a project. One solution for longitudinal studies may be process consent – including multiple points of consent in the study design to reflect potential changing attitudes of participants. Staged consent is an option for those wanting to share data but give participants options. The main point that arose from this session is that we should aim to give participants as much control over their data as possible without making the research project so complicated as to be unworkable. The final session generated debate around whether we can ever truly anonymise personal data. We worked through exercises in anonymising data. It quickly became apparent that when dealing with information relating to people, there are many aspects that could be identifying and in combination even seemingly generic descriptors can quickly narrow down to a small subset of participants. For example, ‘Research Officer’ is a term that could apply to a large group of people but mention this in relation to ‘University of Manchester Library’ and it quickly reduces to a subset of 3 people! The general consensus was that referring to data as ‘de-identified’ or ‘de-personalised’ would be more accurate but that these descriptions may not be as reassuring to the participants so it is imperative that consent forms are clear and unambiguous about how data will be used. At the end of the session it was great to hear lots of positive feedback from researchers across many disciplines that the workshop took what could be quite a dry topic and made it engaging with numerous opportunities for discussion. Our second workshop with Scott Summers is due to take place on 26th February and we are looking forward to gaining more feedback and insights into how we can enhance the support we deliver to researchers who are managing research data from human participants – so, watch this space! On Friday I submitted the University of Manchester’s feedback on Plan S. We’d invited feedback from across campus so our response reflects views from a wide range of academic disciplines as well as those from the Library. Our response could be considered informally as ‘Yes, but…’, ie, we agree with the overall aim but, as always, the devil’s in the detail. Our Humanities colleagues expressed a number of reservations but noted “we are strongly in favour of Open Access publishing” and “we very much welcome the pressure, from universities and funders, on publishers to effect more immediate and less costly access to our research findings”. The response from the Faculty of Biology, Medicine and Health also flagged concerns but stated “if Plan S is watered down, the pressure exerted on journal publishers may not be acute enough to force a profound shift in business model”. A number of concerns raised assumed launch of Plan S based on the status quo. Updates from the Library have tried to reassure our academic colleagues that there’s work going on ‘behind the scenes’ which makes this unlikely and remind them that UK funder OA policies may not be exact replicas of Plan S.
We’ve been here before in the sense that when the UK Research Councils announced that a new OA policy would be adopted from April 2013, publishers amended their OA offer to accommodate the new policy requirements. Not every publisher of Manchester outputs did, but things did shift. For large publishers this happened fairly quickly, but for smaller publishers this took a bit longer, and in some cases required nudging by their academic authors. It’s worth reflecting on how that policy played out as we consider Plan S: put simply, it cost a lot of money and most publishers didn’t provide options that fully met the Green OA requirements. The key points in our response are concerns about affordability, Green OA requirements and the current ‘one size fits all’ approach. You can read it here: UoM_Plan-S_feedback. We’ve now assessed all applications for our sponsored OpenCon 2018 place and are pleased to announce that the successful applicant is Chukwuma Ogbonnaya. Chukwuma is a PhD Student at the school of Mechanical, Aerospace and Civil Engineering, as well as working as an early career Lecturer in the Department of Chemical and Petroleum Engineering at the Federal University Ndufu-Alike Ikwo in Abakaliki, Nigeria. Chukwuma’s application stood out due to his ability to combine passion with practical ideas for improving openness in research, based on his own experiences as a researcher and student. Having experienced both the frustration of gaining access to the supporting data of other scientists, and the substantial effort required to manually explain his own data to ensure it’s meaningful to readers, Chukmuna is motivated to explore the development of systems to support effective and systematic sharing of important research artefacts such as contextual data and code to aid analysis and reproducibility of published research findings. The panel was particularly impressed with Chukwuma’s ideas for establishing a researcher network to support and encourage research staff and students across The University of Manchester to embrace the Open philosophy. Chukwuma plans to achieve this through both developing strategies for and engaging in outreach activities to explain the benefits of open research and learning. Chukwuma was keen to attend OpenCon 2018 to network with like-minded fellows to develop his knowledge and critical skills. Collaboration is essential to developing serious challenges to established norms of scholarly communication, and we’re hoping Chukwuma will meet equally passionate delegates to help him develop and hone his ambitious plans. We look forward to hearing from Chukwuma on his experiences at OpenCon 2018 and working with him on upcoming open research activities, including Open Access Week 2018 and our next Open Research Forum in November.